38 John said to him, “Teacher, we saw someone driving out demons in your name, and we tried to prevent him because he does not follow us.” 39 Jesus replied, “Do not prevent him. There is no one who performs a mighty deed in my name who can at the same time speak ill of me. 40 For whoever is not against us is for us. 41 Anyone who gives you a cup of water to drink because you belong to Christ, amen, I say to you, will surely not lose his reward. One should not miss the irony in this passage. The disciples were attempting to prevent another from doing what they had just failed to do (9:18). Mark continues to narrate the ongoing saga of the Twelve and their presumptions about their privileged position close to Jesus. Now another prominent disciple, John (viz. Peter in 8:32) speaks for the group: “we saw…we tried…not follow us.” What seemingly had disturbed the group was the exercise of Jesus’ name and power by an outsider. The implied question seems to be: “He not a member, he hasn’t traveled with us, who authorized him, and besides… he didn’t listen to us when we tried to get him to stop.” John and the others of the Twelve fail to grasp the irony: they are the “insiders” yet they were unable to cast out a demon earlier (vv.14-18). And now an “outsider” was successful in the same endeavor. Is this another mark of their own ambition, a case of us-versus-them (“he does follow us” – us or Jesus? ), or, more deeply, a significant lack of understanding about the mission and the work of God? The unnamed outsider clearly understood whom he was following. 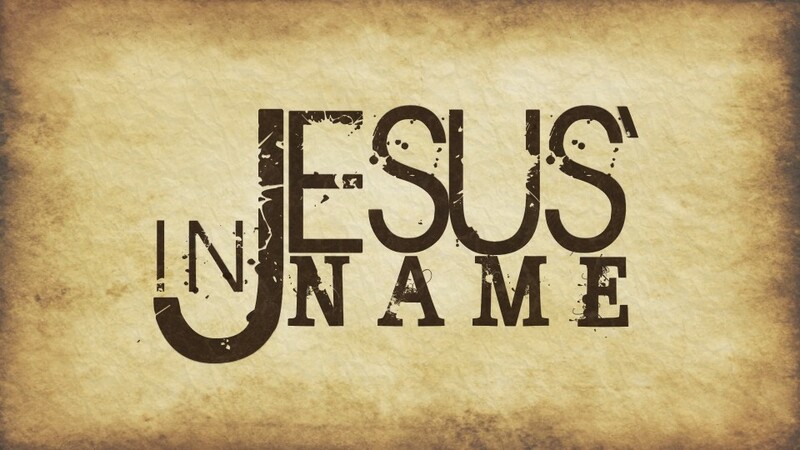 He did not try to oust the demon in the “name of the Twelve,” but in the name of Jesus. We should note that others try to invoke Jesus’ name for exorcism to no avail (Act 19:13-16; Mt 7:21-23). Their failures point to a point of clarity. The unnamed man likely held a trust in the person of Jesus and obedience to mission of the Kingdom. In this way our unnamed man is a true witness to the will of God working in the world. This entry was posted in Scripture and tagged in my name, mark-9-38-41 by Friar Musings. Bookmark the permalink.